A chat about computer vision, visas, and living abroad. Sergey Kharagorgiev is a computer vision engineer from Kyiv, who currently works at Starship Technologies in Tallinn. We were excited to chat with him at a cafe recently to discover the story of how he came to be in Estonia! What do you think of Estonia so far? I like Tallinn a lot. 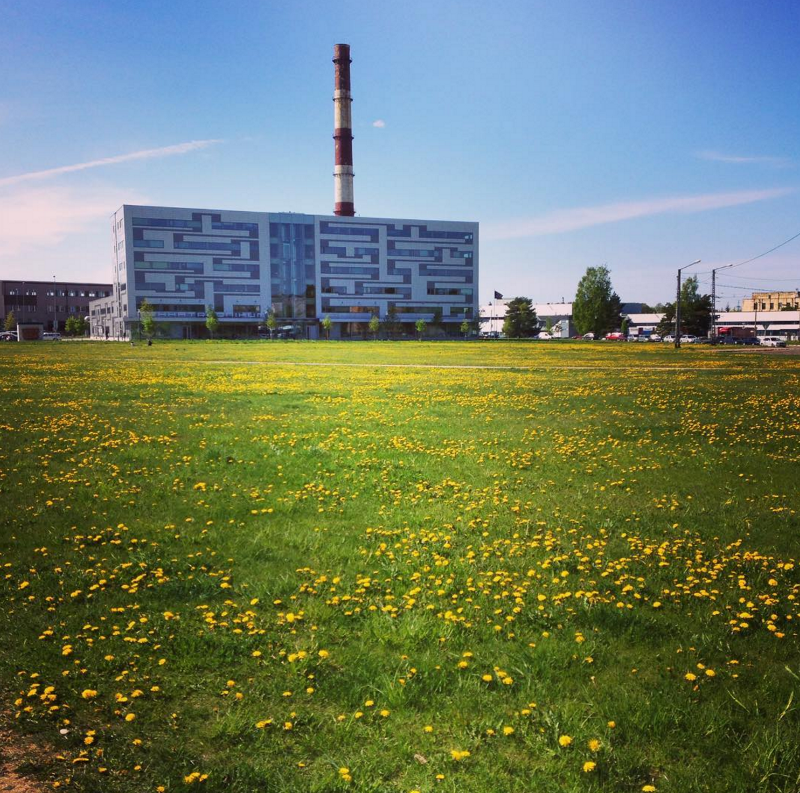 One of my friends from Ukraine who moved here wrote a small article about his move — he’s also a software engineer, and he wrote that Estonia is Ukraine 2.0, which sounds right, because it’s also a post-Soviet country but it moved forward much more than Ukraine in terms of economy and [it has] less corruption, etc. So moving here feels like home, but better. But of course if you move you miss your friends and family. What made you want to move here? Mostly because of the job. 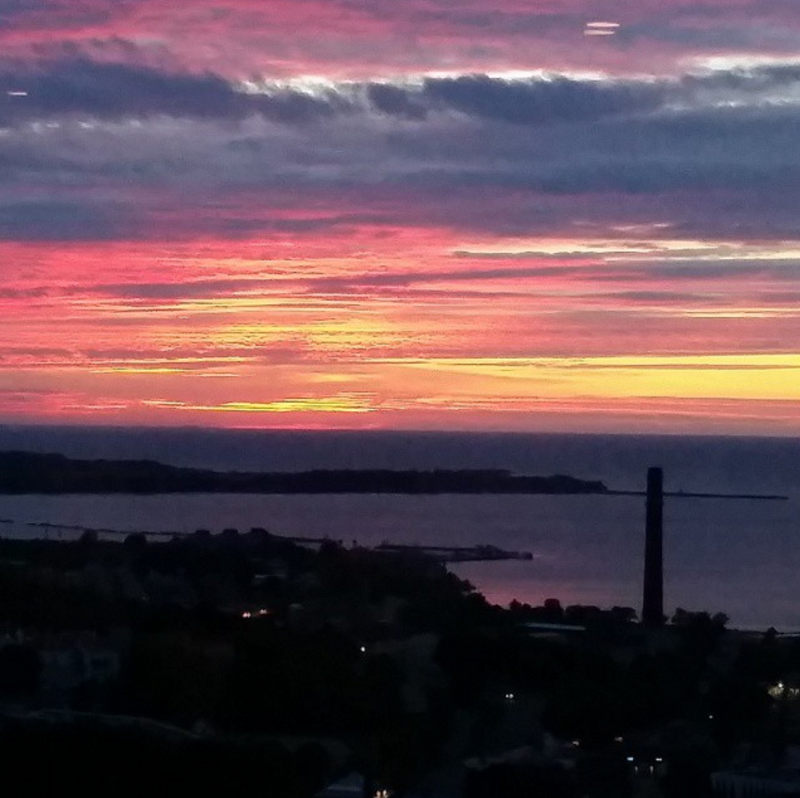 It wasn’t like I wanted to move to Tallinn, but it was because I got excited about this project. 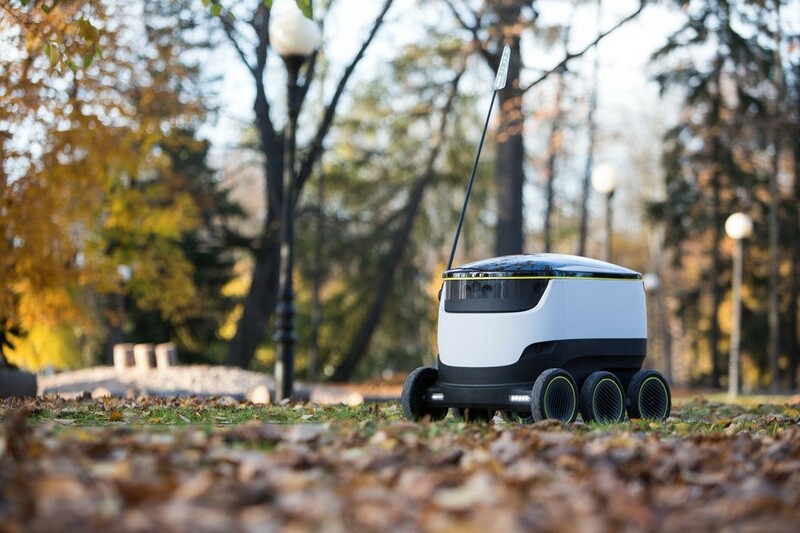 The company’s doing this autonomous delivery robots and I was working as a computer vision software engineer for the last 8 years – before that, I didn’t work in robotics. I was working on different computer applications. But I guess working with robots was kind of a dream for a long time. When I got this opportunity I got excited so I decided to move. It’s a more narrow and specific niche in software development. It’s hard to find cool opportunities with this and this was one of the most amazing projects I saw. Are there any robotics companies in Ukraine? Not as I know. Not as cool, unfortunately. There are a lot of companies in the US which are doing robotics but for me it’s a bit hard to get there now because their visa rules are quite strict, but for Estonia getting a visa was surprisingly simple, and this is one more thing I really liked. It was very fast, easy and straightforward. Right now I’m here based on a short-term half-year visa, but I also hope to get a residence permit. But compared to other European countries and the US, it’s much easier to get a visa for Ukraine. They are very strict for Ukraine [when you enter the Schengen Zone]. A lot of my friends now, they got their requests for visas to Europe, to the UK and the US denied because apparently we are not as trustworthy as other nations, unfortunately. One of the main reasons for all the recent problems in Ukraine is that we want to move closer to Europe, we want to move to the European zone and the EU, so one of the main things that people want is to get visa-free entrance to Europe, but we still don’t have it. We have to get a visa and we usually don’t get long-term visas. For example my girlfriend wasn’t able to get a visa to Norway last year, and she wasn’t able to get a visa to the UK. For Ukrainians it’s a bit hard. But she is also here in Estonia on a short-term visa. This is one of the good things about Estonia for Ukrainians. A lot of Ukrainians now come here, mostly for IT jobs because apparently Estonia has a thriving startup scene. Exactly how difficult is it to travel from Ukraine? Ukraine is not part of the European Union, and 2 years ago the government was overthrown and we had this revolution, and the main reason was for better European integration. But actually the politicians promised us that we will have visa-free European movement and better European integration very very soon, [but they have been saying this] for 2 years already. Because of this they practically have a war with Russia, so it’s not a nice situation. But as for visas, the EU forces Ukraine to have some anti-corruption laws, and apparently politicians don’t want that so right now we are stuck with this. And all the people are actually denied visas. I’m not actually sure why we are denied visas but probably because they are afraid of illegal immigration. I guess if borders would be open, some people would like to work in Europe, but because of this flow of illegal immigrants, I guess Europe is afraid of that. So I guess that’s part of the reason why you say Estonia is less corrupt? Yes, we were at this concert during Tallinn Music Week and we were hanging out at Kultuurikatel, and at some point the president just came out. He was just three steps from us and we were like, “What? This would never happen in Ukraine or in some other countries,” so this is one of the cool things [about Estonia]. Do you see any differences between Kyiv and Tallinn? I guess it’s a bit more tidy and neat. Because in Kyiv, you see very similar buildings but they will be in worse conditions. Another thing is they will be decorated differently for every balcony and every window [in Kyiv]. Here everything is neat and similar and tidy. But in the Kalamaja area, there are mostly no Soviet buildings — it’s all wooden architecture. How did you find out about Jobbatical? I decided to expand my search for job opportunities in Europe, or the US. And because I have a pretty specific specialization in software engineering — computer vision — instead of just using some generic job searches, I was able to find a list of companies which would be interesting for me. So I could just search by keyword like “image processing” and “computer vision”, and come up with a list of European and US companies. I don’t think I was searching in Asia at that point. One of the companies that was offering some kind of computer vision-related projects posted on Jobbatical, and this is the way I found it. I think it was some company in Israel, and I thought — why not? If they have a cool project, I should try that. But after that Karoli [the CEO of Jobbatical] wrote to me about Starship, because the COO of the company is her husband. She got in touch with Ahti, the co-founder of Skype, and CEO of Starship. We talked about it, he was interested in hiring me, and this year I accepted this offer and moved here. What are some things that stop people in Ukraine from looking elsewhere for jobs? Yeah, so one of the problems is that not everybody knows English very well. But a lot of people do. And also a lot of people just don’t want to move because they don’t want to emigrate. So this is a concern for many people but for me it’s not such a big concern because if you want to move abroad, you can just do it for some limited time. You don’t have to move forever. And I guess a lot of Ukrainians don’t feel that way. They think that it’s either emigrating or staying. So they don’t think that there is something in the middle. I think there is something in the middle. You can move, and if you like, you can stay, or if not you can move somewhere else. Not so much because in Ukraine you have mostly almost free education. It’s either really inexpensive compared to European education or it’s free. Because of that a lot of people study in Ukraine. Some of my friends use this ERASMUS program but not many. Maybe it will change. Another concern which is not so large, here prices are a bit higher, but not much higher than in Ukraine surprisingly. Because I lived in London for awhile and compared to Tallinn it’s just such a huge difference. And in Tallinn, rent is very similar to Kyiv, and other prices are also similar but still higher. Also, taxes in Europe and the US are much higher than in Ukraine. Because in Ukraine a lot of people pay very, very low taxes. Here you pay 20%. In the UK or US you could even pay 30%. In Ukraine you can register as a private entrepreneur, and you have a unified single 5% tax for small entrepreneurs. Instead of taking on a job — if you have a job you have to pay all the social taxes and everything — you just work as a contractor and you pay the single small tax, and it’s kind of legal. Although in practice, in the UK it’s considered to be tax avoidance. Are there any cultural differences between Ukraine and Estonia? I don’t think I have noticed any differences between the Estonian and Ukrainian friends. In Ukraine and in Russia, Estonians have a reputation of being stoic, calm, reserved and slow. But I think that comes from the way that the Estonian language or accent sounds in Russian, which makes them speak quite slowly. I guess because of the long vowels. Because of that I think speaking seems slow, but if you hear Estonians speak in their native language, you realize that it’s not slow, they speak quite fast. And judging from the fact that there is strong economic growth and much less corruption, then I think that we have a lot to learn from Estonians. What have been some benefits of living abroad? I don’t think it made a difference for me personally, but career-wise it does make a difference because it expands your opportunities for work projects. Also I guess I would feel quite comfortable staying in Ukraine and freelancing, doing outsourcing work, but still if you go abroad and you work at companies abroad instead of just working remotely or working on outsourcing projects, it’s better because you get to work with more cool people and companies. One more thing is improving my verbal English. 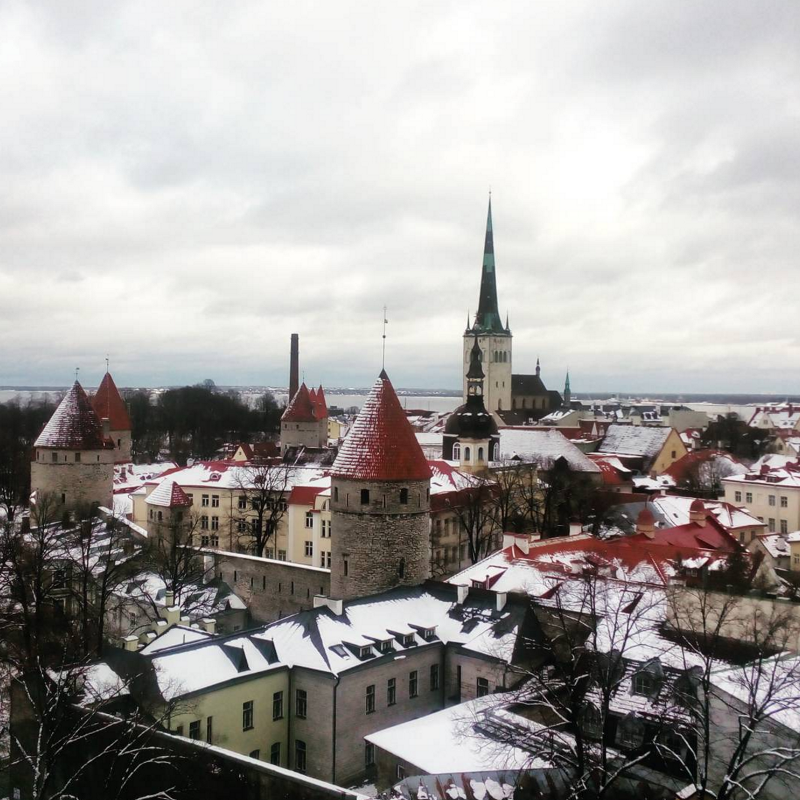 Estonia is not an English-speaking country but it’s an English-friendly country, like many European countries. Lastly, do you have any advice for people who might want to go on a jobbatical? I think it’s a good idea, and even if someone is freelancing, I still think that it’s good to try to work at a company for a change. I’ve been freelancing for around 2 years and I got a bit bored with it because you mostly work on your own, and there are of course positive sides to it — you are your own boss, you have a lot of freedom. But on the other hand you are missing working in a team. Something like Jobbatical is cool because you don’t have a lot of commitments and you get to see cool places. You actually don’t have to emigrate to try living in different countries and cities. I think after some time you get used to anything, so after some time you probably will feel at home.